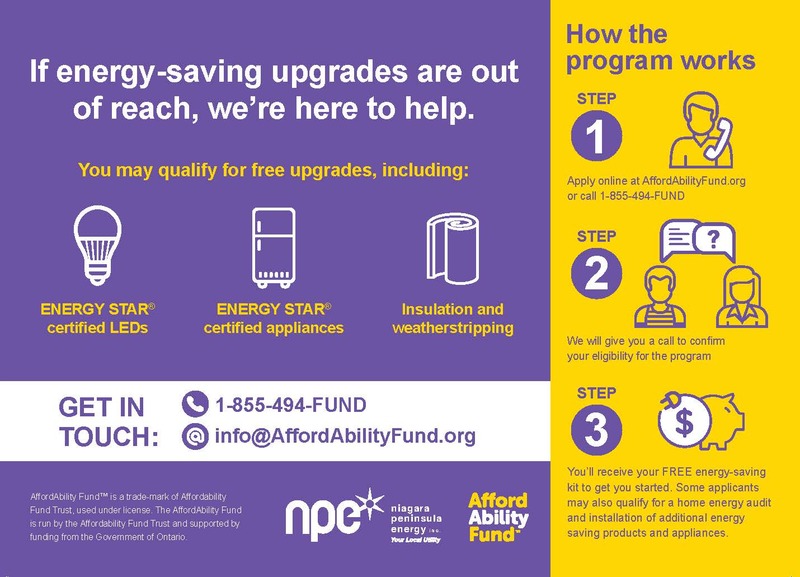 If the cost of energy-saving upgrades is out of reach, Ontario’s AffordAbility Fund is here for you. Niagara Peninsula Energy Inc. and community services are working together to help you improve your home’s energy efficiency with free energy-saving upgrades, which can lower your home’s energy use and your electricity bill. Click here to see what you qualify for!